Do you feel a stinging sensation when your teeth are exposed to sudden changes in temperatures? 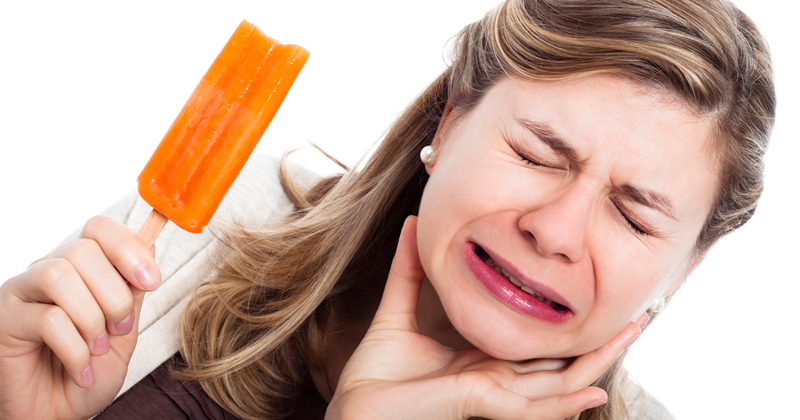 If you’ve felt this dental pain, you probably suffer from tooth sensitivity. Learn what causes sensitive teeth and how to ease the ache. Brushing your teeth is good, as long as you do it gently. But many people do damage to their teeth by brushing very roughly or using a hard-bristled toothbrush. These actions can wear away your tooth’s enamel and reveal its sensitive layer of dentin. As a result, you experience sensitive teeth. That’s why family dentistry experts recommend using a soft-bristled toothbrush and a very gentle touch. 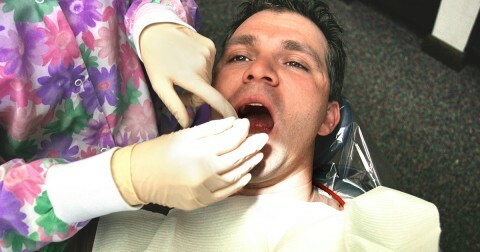 If your tooth sensitivity continues, visit an affordable dentist for advice on relief. You’ve been told that sugar can harm your teeth, but do you know the danger of acids? See, foods and drinks high in acid can actually eat away at your tooth enamel and leave you with sensitive teeth. The foods and beverages that are highest in acid include oranges, lemons, grapefruit, tomatoes, carbonated drinks, and fruit juices. To protect your teeth from these acids, limit your intake of highly-acidic foods and drinks. If you have them occasionally, be sure to rinse your mouth with water afterward to wash some of the acids away. Many people grind their teeth without even knowing it. Unfortunately, this habit can wear down tooth enamel over time and reveal the tooth’s sensitive dentin. Because this habit is generally beyond your control, an affordable dentist can provide a custom-made mouthguard to provide dental care protection and bring this habit to a grinding halt. Whenever you bite down on hard items like ice or candy, you run the risk of cracking, chipping, or fracturing your teeth. This leaves the tooth very painful to the touch and causes tooth sensitivity. If you damage a tooth, you need to go to a family dentistry specialist immediately for treatment. If it’s not repaired, it can lead to serious dental care problems.